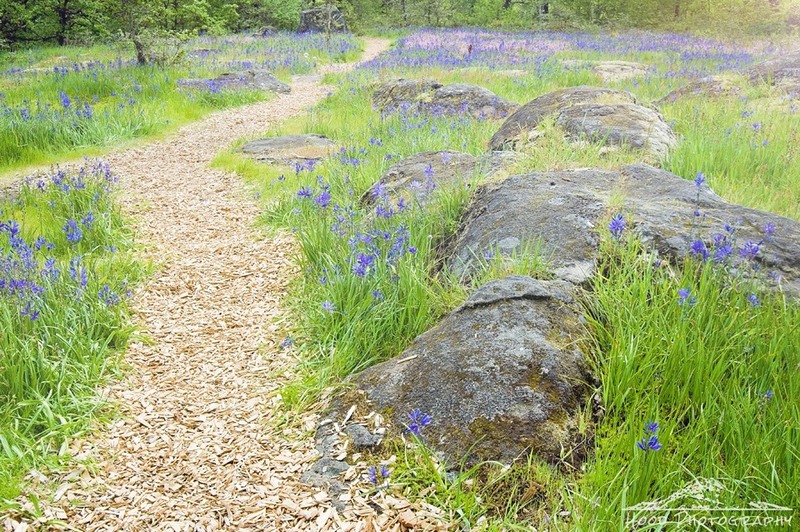 I visited Camassia Nature Preserve in West Linn, Oregon this past weekend. I have been here before, but had gone about a week too late. The wildflowers had been past their prime on the previous visit. But this trip to the park was made at just the right time. The flowers were in full bloom and so abundant. The carpet of Camas Lily, Rosy Plectritus and Blue-eyed Mary covered the rocky plateaus and meadows. It certainly does make for a lovely sight to see! Like a purple carpet. Wonderful! I love the color of the rock, actually.